Armored Security Transport – When Do You Need One? Armored security transport is an ideal solution for when you need to move valuable assets or people from one location to another. The vehicle used has steel plating and bulletproof glass to protect against any type of attempted robbery or attack. You can be fairly certain that your valuables will arrive at their destination in one piece. But when exactly do you need to go through the trouble of hiring armored truck? Typically, businesses use these services when they have a lot of cash, or other expensive items, which need to be moved from their place of business to the bank. You see this with places like casinos that deal with the transfer of millions of dollars a day. An employee just would be safe using their personal vehicle to take a million dollar deposit to the bank. It is almost certain they would be robbed or killed for the money. An armored security transport, on the other, is well equipped to handle such a large amount of money. They have well trained employees and security protocols in place that almost guarantees the money will make it to its destination in one piece. If you have large cash deposits or withdrawals, then you will definitely need this service. 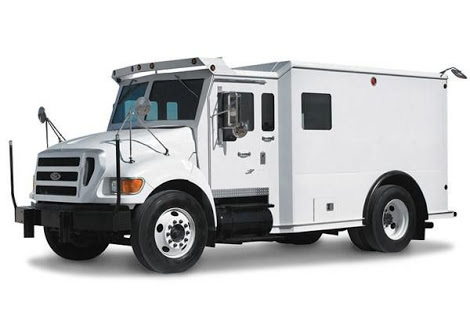 A corporation that owns a number of retail stores in an area may want to make use of an armored security transport for their daily deposits. Even though each store may only need to deposit a few thousand dollars, the amount can easily turn into $10,000 or more if you have multiple stores. The transport will travel between the stores and collect all of the deposits and then take them to the bank for you. This way, you won’t have to worry about employees getting hurt or being dishonest and trying to steal the money. An armored security transport can also be used to securely move VIPs from one place to another. If you have a government official or other person of importance who safety must be maintained at all time, you can hire a transport to ensure they are well protected. In this case, the company may use a regular looking vehicle that has been outfitted with bulletproof plating and glass but is inconspicuous enough to blend in with other vehicles on the road. Why Responsive Web Design is now necessary to succeed?